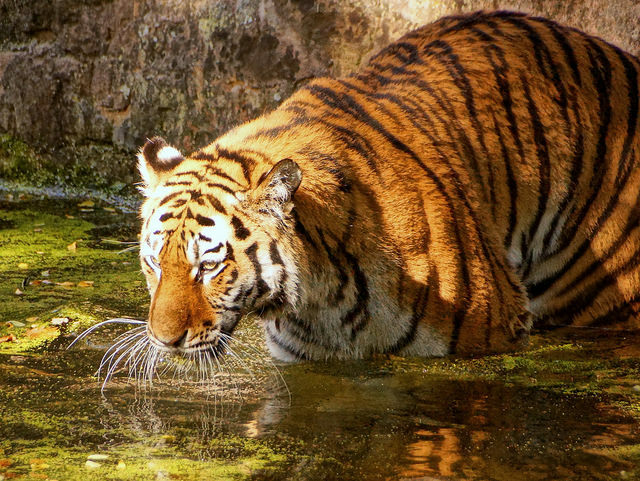 Environment minister Prakash Javadekar, on Tuesday, said that India’s tiger population has touched nearly 2,500, an improvement from last census of 2,226. The minister was speaking at the 3rd Asia Ministerial Conference on Tiger Conservation. Along the sidelines of the event, when media persons contacted B S Bonal, member secretary, National Tiger Conservation Authority (NTCA), he justified the minister's statement saying, "After estimating population of tigers in Phase-III of the monitoring programme, tiger reserves across each state are to monitor tiger populations using camera trap images in Phase-IV. Maharashtra and other states have done a study across most of their tiger reserves and this exercise helps to confirm existence or increasing trends and you can extrapolate." India is hosting the 3rd Asia Ministerial Conference on Tiger Conservation organised by NTCA that was inaugurated by the Prime Minister on Tuesday. Dignitaries from all 13 tiger range countries (TRCs) including Bangladesh, Bhutan, Cambodia, China, India, Indonesia, Lao PDR, Malaysia, Myanmar, Nepal, Russia, Thailand, and Vietnam will participate in the three-day-long event. Speaking the event, the Prime Minister Narendra Modi highlighted the importance of tiger in mythology saying, "Mother goddess embodies mother nature who sits on a tiger." Modi highlighted India's zero tolerance against wildlife crimes such as poaching. "Demand for body parts and wildlife trafficking is a major threat to this magnificent animal. We need to co-operate on this serious issue at the highest level," he added.